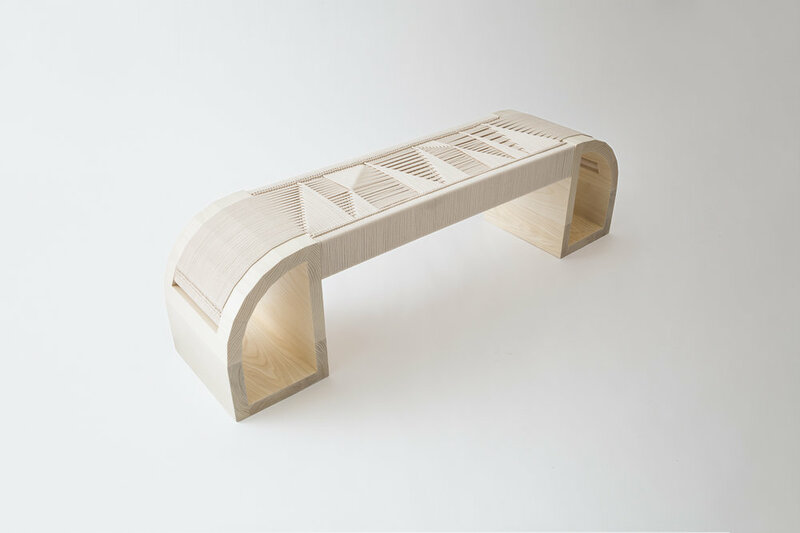 The Satet Bench is made from coopered ash hardwood with grain matched detailing. 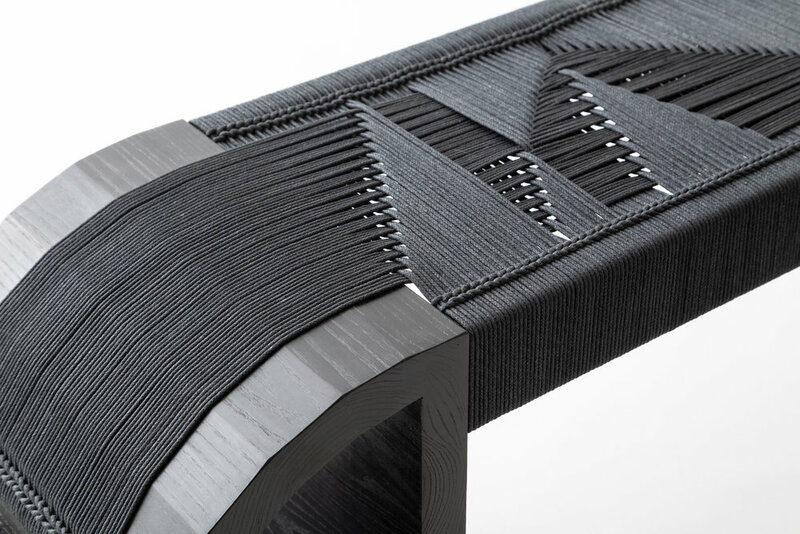 The hand woven cotton cord waterfalls over the faceted frame and pierces in creating a subtle textual variation. 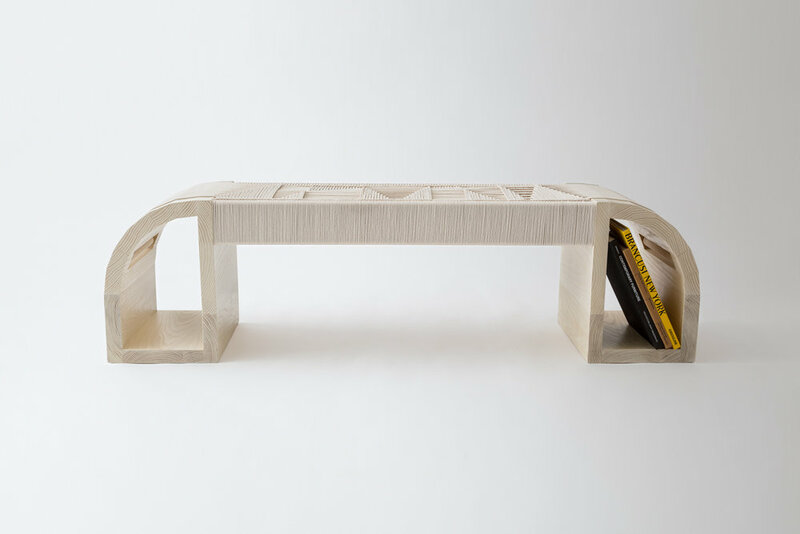 Both modern and classic in form and technique the Satet Bench provides leg storage for unique styling. Dimensions and finish are customizable to trade. The Satet Coffee Table is made from blackened ash coopered together with grain matched detailing. Rare White Beauty marble, sourced or hand selected from Aria Stone Gallery, sits flush on the faceted twin drums. Dimensions, finish and stone are customizable to trade.